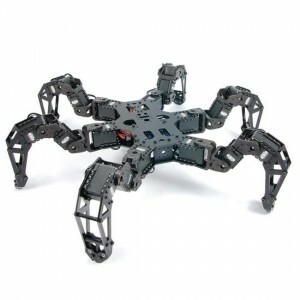 We’ve put together a PhantomX Hexapod Phoenix Code Getting Started Guide. The Phoenix Code is a unofficial firmware for the PhantomX Hexapod that has a wide variety of gaits and movements not available in the stock NUKE firmware. This code is a community collaboration led by Kurt Eckhardt (KurtE)with the help of Xan and Zenta. The code is based off of Xan’s original code for Lynxmotion Phoenix. This guide will run you through the history, features, configuration, installation and control of the Phoenix code. Check out this video for a demo of the code in action!